Water Proof Vinyl Hooded Rain Ponchos 50" X 80", 10 Mil Thick HD Vinyl With Snap Closures & Carrying Pouch. 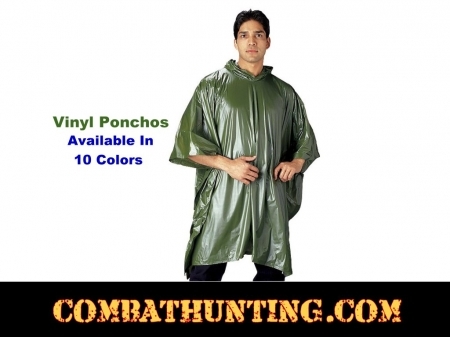 Ponchos Are Great For Any Outdoor Adventure Camping, Hunting Fishing, Hiking And Backpacking. 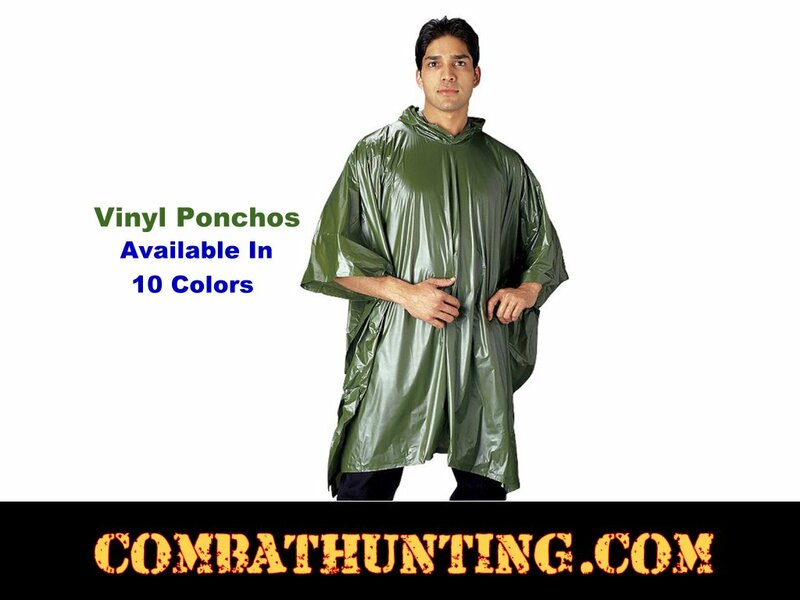 Vinyl Hooded Rain Ponchos Are A Great Addition To Your Emergency Survival Kits Or Bug Out Bags.